We offer 1 bedroom and 2 bedroom corporate units that are available to be rented daily/weekly. The units offer cable, internet, and are fully furnished all the way down to the silverware and linens. 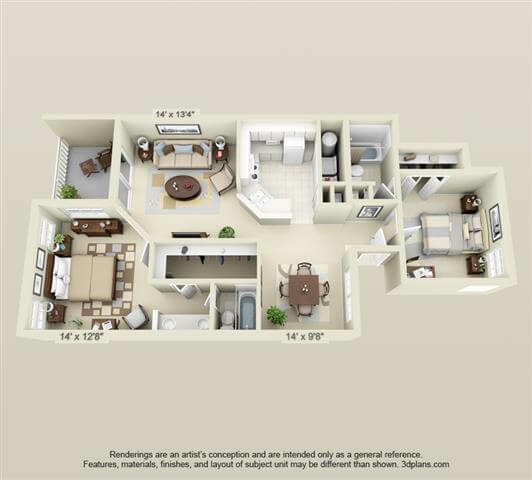 Each unit is equipped with its own washer and dryer, a large screened patio, and a private entrance. Hunters Crossing offers many Dining, Parks and Shopping options just a short walk away. Games, events, business, leisure or travel - Hunters Crossing is the perfect luxury location for your short stay. CONTACT US today to see the availability for your next visit! Travelling for work has the potential to be a much needed change of scenery, but at the end of the day, employees are separated from their families, friends and their familiar surroundings. No one wants to go back to a hotel after a long day of work — they want to retreat to a warm, fully-furnished living space. Whether you are a travelling professional or you are an employer looking for adequate housing for your employees, the corporate apartments in Gainesville at Hunters Crossing are the perfect solution. At Hunters Crossing, our Gainesville corporate rentals are designed to make your temporary living experience feel as much like home as possible. The more comfortable business travelers feel in the place they are staying, the better rejuvenated they will be — allowing them to be more effective during the day. If employees stay in a hotel, they may hear other guests through the walls or walking the halls at all hours. However, our professional corporate units have a private entrance and screened-in porch so you can have the peace necessary to get much needed rest. While some companies have employees stay in hotels during work trips, hotels only provide the bare minimum. In contrast, our Gainesville corporate rentals are fully furnished and are accompanied by everything travelling employees will need during their stay. This includes everything from silverware and cookware to linens and a comfortable bed to relax in at the end of the day. We also provide Internet and cable services for professionals who wish to watch TV before bed or need to review the presentation one more time before leaving. Each unit also comes with a washer and dryer so employees can always have access to fresh clothing without having to bring a great deal of luggage. As an additional advantage, the furnished corporate apartments at Hunters Crossing are conveniently located minutes from I-75 and near the Hunters Crossing Shopping Center. Our guests and residents can spend their free time trying delicious fares at local restaurants, shopping in unique boutiques and getting fresh air in parks that are all just a short walk away. Our units also have flexible booking policies. Our one-bedroom or two-bedroom corporate apartments can be rented on a daily or weekly basis depending on the length of the trip. This flexibility makes our rentals an appealing option for employees and business owners alike. If you are planning a business trip to Gainesville or are looking for professional housing for a visiting consultant, contact Hunters Cross today. Our goal is to make the short-term living experience as simple and convenient as possible for all of those who are involved. Corporate units are more comfortable and affordable than long-stay hotel rooms. 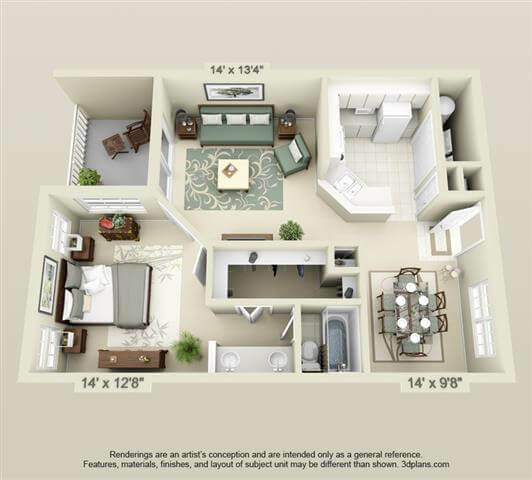 For the best temporary rental apartments Gainesville, FL, has to offer, choose Hunters Crossing. Contact us to schedule your stay!